A Mexican man on death row in Texas was executed on Wednesday night, Nov. 8, in the murder of his 16-year-old cousin who was abducted from her family’s apartment and fatally beaten. Mexico’s President Enrique Nieto weighed in. 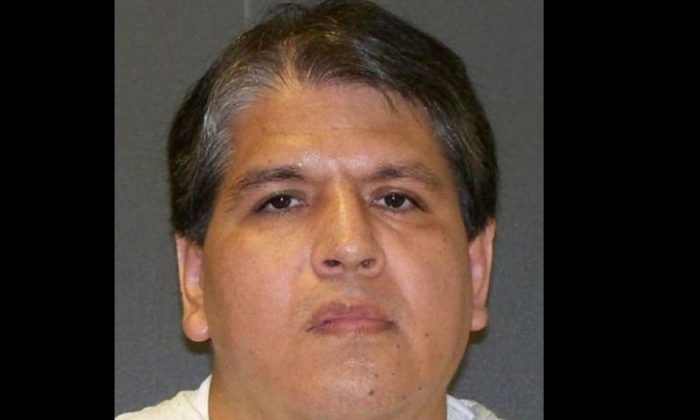 Rubén Ramírez Cárdenas, 47, was administered a lethal injection after several federal court appeals. He was convicted in the 1997 murder of Mayra Laguna, the 16-year-old. About 21 minutes after the execution began, he was pronounced dead, CBS reported. But the move drew ire from Nieto. “I express my firm condemnation of the execution of the Mexican Rubén Cárdenas Ramírez in Texas, which violates the decision of the International Court of Justice. My deepest condolences to the mourners,” he tweeted. Cárdenas’s attorney, Maurie Levin, said that the testimony against him was sketchy—noting that there was little physical evidence that linked him to Laguna’s murder. Levin also said a confession that he gave to police was done after 22 hours of police questioning and isolation. The lawyer also said that officials didn’t act correctly when they didn’t tell him that he could get help from the Mexican Consulate. Cárdenas thanked his family and the Mexican Consulate for their help. Prosecutors, however, said that Cárdenas led investigators to the girl’s body, tossed in a canal. “This guy is guilty as sin,” Hidalgo County prosecutor Ted Hake said weeks before the execution. According to Fox News, Cárdenas said in a statement to police that he was high on cocaine. He and friend Jose Antonio Lopez Castillo drove around with Laguna in his mother’s car. When he untied her, she came at him and attacked him.